Over the past year, it has been hard to keep the stress and my journal separate and the reader has had a share in what has been going on with my family and me. Yet, even at the darkest moments, I have tried to keep the journal as upbeat and positive as possible. As spring makes its way into the summer and temperatures in northern Alabama are starting to hit the 90s, I am spending more time out of doors – my favorite place to be – and once again watching nature around my small patch of suburban life. In the past week, for the first time this season, I have noticed the fireflies emerging at dusk. 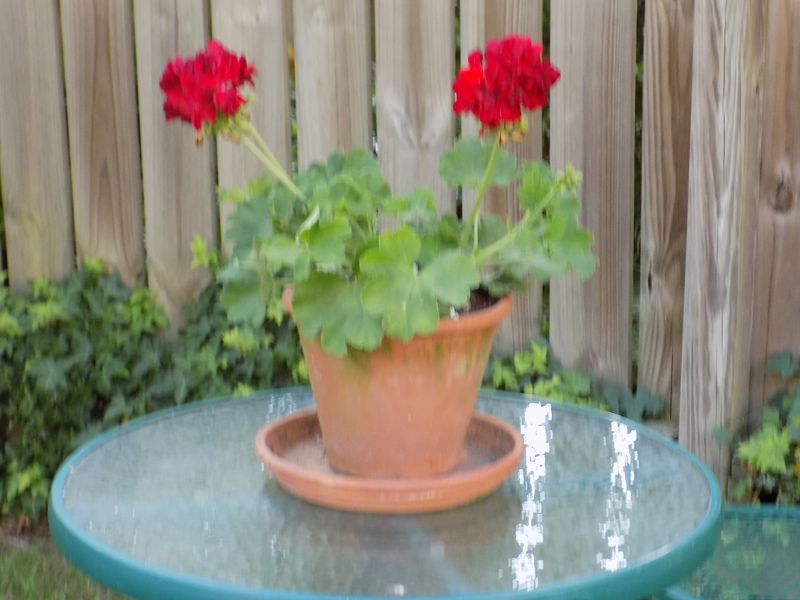 My plants in pots and in the ground are doing okay but it has been dry and daily watering has become a necessity. The robins are playful and cagey, seeing how close they can get to me as they hunt worms and forage before they scamper away if I make a move to pick up a glass or rub my leg. The magnolias are blooming, I don’t have a magnolia tree but there is one across the street. When I was growing up we occasionally had magnolias in the yard and there was a time when Mother would use the large sturdy leaves for Christmas decorations, often highlighting them with gold paint. The magnolias this year haven’t peaked yet but the trees are full and will be magnificent soon. Last night, as I was watering the backyard plants, I spotted a pot in bloom behind the schefflera. The schefflera spends the cool months inside the house and I didn’t realize something was growing behind it in the corner of the yard. 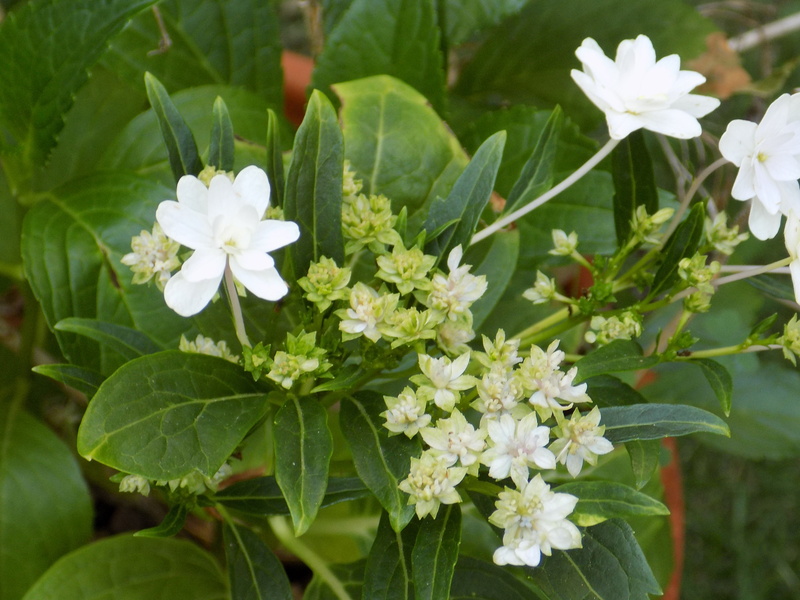 When I pulled the pot forward, there was a healthy hydrangea beginning to bloom. Here’s the rub: the two hydrangeas I have planted and tended to over the past few years are healthy but refuse to blossom for me; this one, which I don’t even remember planting, seems to be doing just fine on its own, thank you very much. There’s a lesson there, but I’m not sure what it is. Perhaps the most consistent comment I receive about “Professional Southerner” is that the reader finds a calm and relaxation in reading what I wrote. That is a good thing to hear since I began the online journal in 2013 at a time when there was much turmoil going on around me and I wanted these essays to be a break from the stresses of work and everyday life. Meditating and observing in the yard put me in mind of the journalist and writer Verlyn Klinkenborg whose essays on “The Rural Life” were just about the most satisfying things to hit the pages of The New York Times for close to sixteen years from 1997 to 2013. Klinkenborg lives on a farm in upstate New York and his essays for the Times are meditations on the day-to-day life of the farm in a calm and pensive manner. His observations on the simple matters of everyday life always leave an impression of welcome solitude and the profundity of things which are all around us. Klinkenborg came to mind when I revisited a collection of his essays in the book The Rural Life (hardcover: Little Brown and Company, 2002: paperback: Back Bay Publishing, 2004) which is a compilation of his Times essays. I gave the book to my Mother for Mother’s Day several years ago, hoping it would be as comforting to her as it is to me. Reading the essays after several years, it occurs to me that I may be attempting in my recent writing to capture some of the tranquility and spirit that I get while reading Klinkenborg’s minimal and essential meditations in The Rural Life and its sequel, More Scenes from the Rural Life (Princeton Architectural Press, 2013). Thanks, Klinkenborg. May your imagination forever notice and embellish. 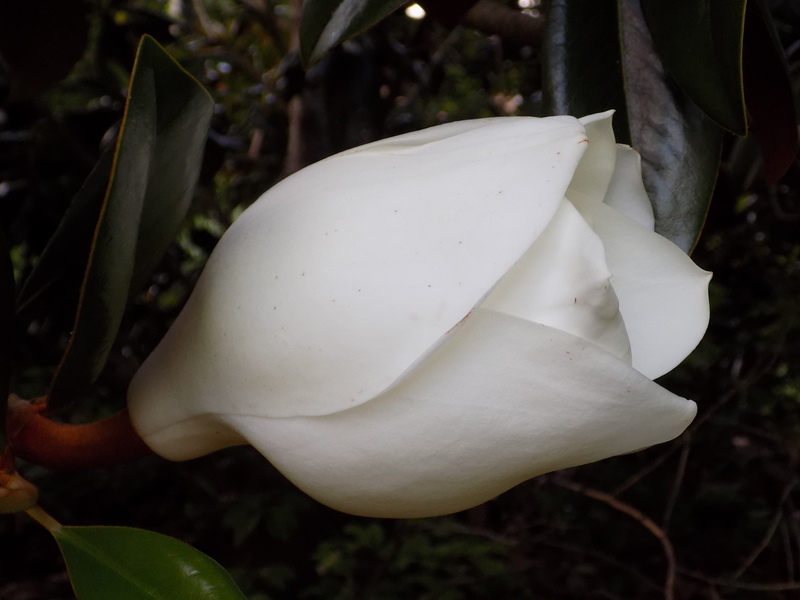 This entry was posted in Verlyn Klinkenborg and tagged magnolias, More Scenes from the Rural Life by Verlyn Klinkenborg, springtime in the South, The Rural Life by Verlyn Klinkenborg on June 1, 2016 by gedwardjourney.